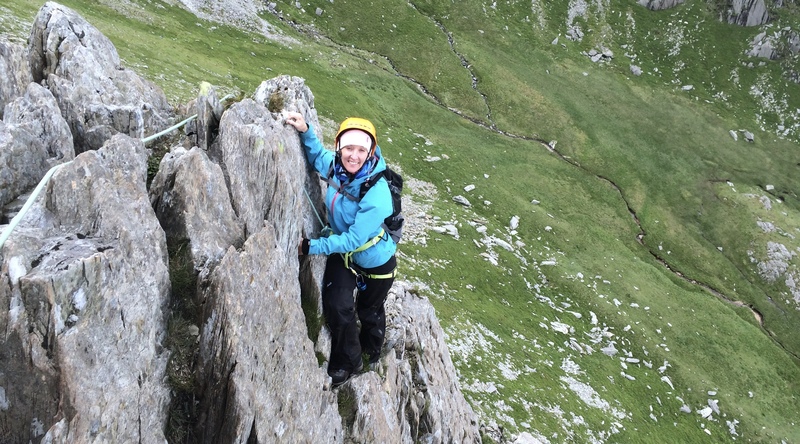 Snowdonia is a perfect venue for all aspects of Alpine training. There’s a lot of spiky, rocky terrain similar to the ridges and buttresses found on many Alpine peaks. The bonus is that they are all within a relatively short distance from the road , which makes it ideal for learning and training. It’s also ideal for getting some fitness mileage in before you go. 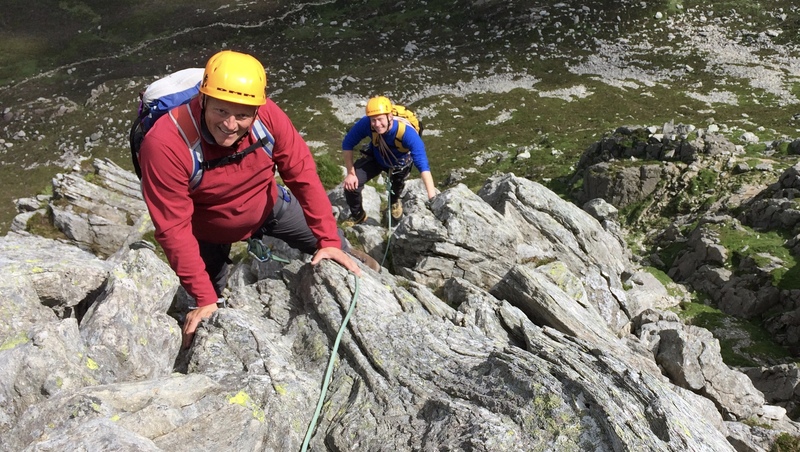 This kind of training is equally valuable for anyone who is going out to the Alps on a guided trip, or is heading over with plans to climb some Alpine peaks unguided. We can cover everything from movement skills on rocky terrain, through to crevasse rescue and glacier travel techniques, moving together and short roping, climbing in big boots. We will look at what to take and what to wear, staying in Alpine huts, and give you some idea of what to expect on your Alpine trip so that when you get there you feel prepared and ready. We can offer lots of advice about suitable Alpine peaks or trips for you, and give you some insight into different Alpine areas and their characteristics. The main aim is to help your Alpine climbing be successful and enjoyable. Ric has guided on Mont Blanc over 50 times, so has good knowledge of the routes, and the skills and experience needed for a successful ascent. Training and information weekends are ideal if you want to prepare for a guided or unguided ascent of Mont Blanc, or whether you simply want to know if it would be a realistic ambition for you. During a 2 day weekend or weekday course we can look at rope techniques used on a typical Mont Blanc ascent, and you will be training on terrain similar to that found on parts of Mont Blanc itself. Anyone considering trying the Matterhorn will benefit from a couple of days of roped scrambling in preparation for their trip. You might like to find out whether the Matterhorn is realistic for you, or you may wish to find out more about the climb and the kind of climbing that you might expect. Like Mont Blanc, Ric has guided on the Matterhorn many times and will be able to answer any questions you may have about the climb.